Teeling Blended Whiskey is a popular Irish Whiskey available from Amazon.co.uk in 70cl to buy online. Visit Amazon.co.uk for the best price for 70cl of Teeling Blended Whiskey or compare prices on our other Irish Whiskey products. This small batch bottling consists of hand selected casks which are given further maturation in ex-Flor de Cana Rum barrels imparting an extra sweet and smooth flavour unique to Irish Whiskey. By bottling at 46% with no chill filtration completes an Irish Whiskey of true character. Nose: An inviting nose where vanilla and spice dances with bright sweet notes of Rum. Taste: While being very approachable the influence of the rum cask and higher percentage alcohol creates a unique smooth, sweet, slightly woody marriage that sparkles on the tongue. Finish: Slightly moorish, sweet spice finish. 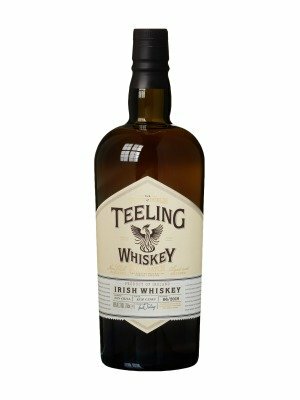 Where to buy Teeling Blended Whiskey ? Teeling Blended Whiskey Supermarkets & Stockists. You can buy Teeling Blended Whiskey online in most retailers and find it in the Irish Whiskey aisle in supermarkets but we found the best deals online for Teeling Blended Whiskey in Amazon.co.uk, TheDrinkShop, and others. Compare the current price of Teeling Blended Whiskey in 70cl size in the table of offers below. Simply click on the button to order Teeling Blended Whiskey online now.